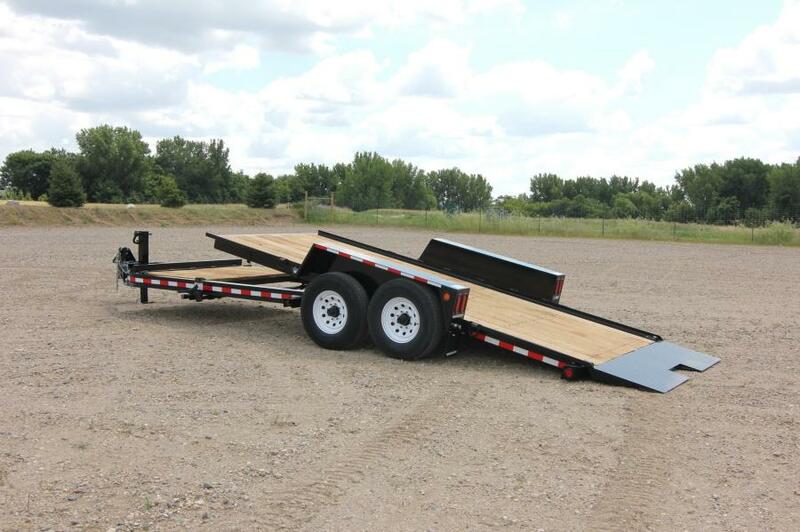 Towmaster’s drop-deck tilt-bed trailer features a dual-locking, single lever tilt mechanism that lets the operator tilt the bed from one side of the trailer. Tired of messing with ramps? Towmaster's drop-deck tilt-bed trailer features a dual-locking, single lever tilt mechanism that lets the operator tilt the bed from one side of the trailer. A hydraulic cylinder cushions the deck to ease the equipment when unloading or loading. When the equipment is loaded, the deck automatically locks into place. The improved approach ramp provides traction and a low-load angle. Rubber-torsion axles provide a smooth tow and a self-charging battery break-away system is included for safety. The T-12DT is available in several deck lengths. For more information, call 800/462-4517 or visit Towmaster.com.